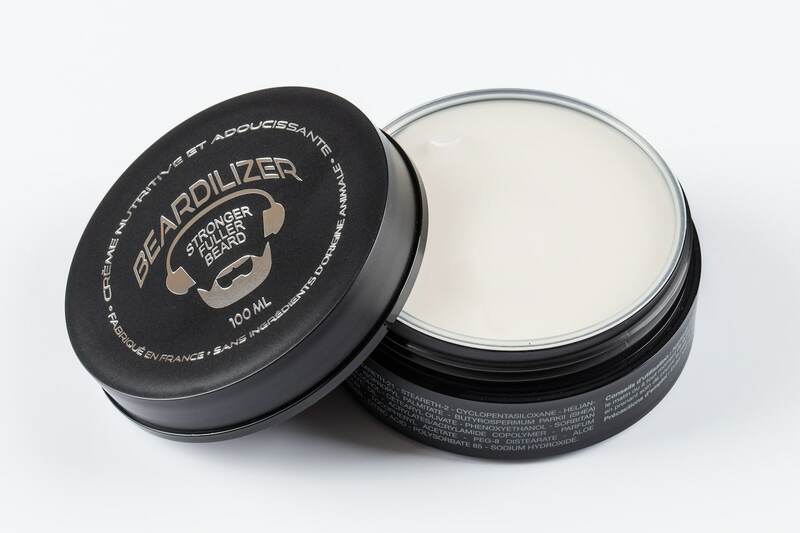 We are proud to present the new Beardilizer® Beard Balm Advanced Formula for conditioning and softening your beard. 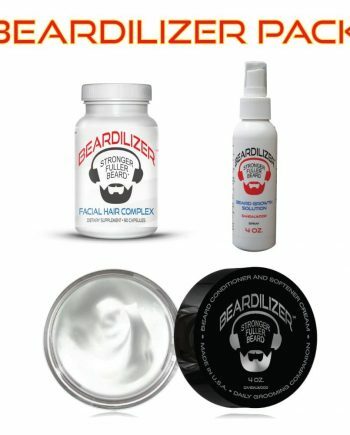 Once your beard starts growing, nourishing your skin and facial hair is essential: daily care and grooming routine with our unique combination of powerful ingredients and botanical extracts will guarantee an A+ beard! 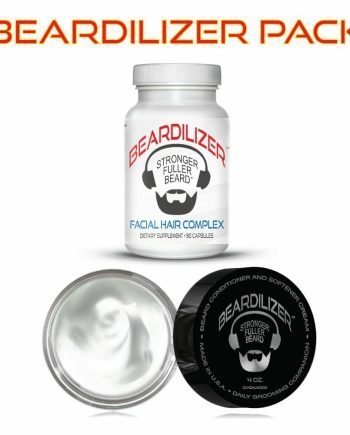 Growing a beard is a commitment… to being awesome! 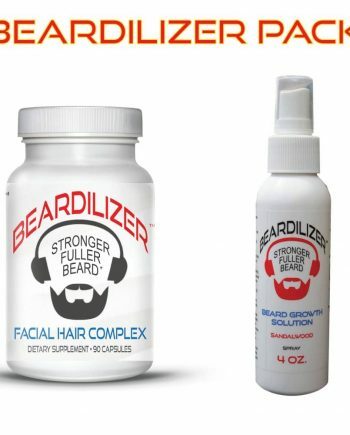 In return, you have to give your whisker some TLC. Its unique blend of Olive Oil, Shea Butter, Sunflower Oil, Coconut Oil, Sweet Almond Oil and Avocado Oil will deliver its promises with a perfectly formulated cream that will smoothly penetrate you skin and facial hair for immediate results. 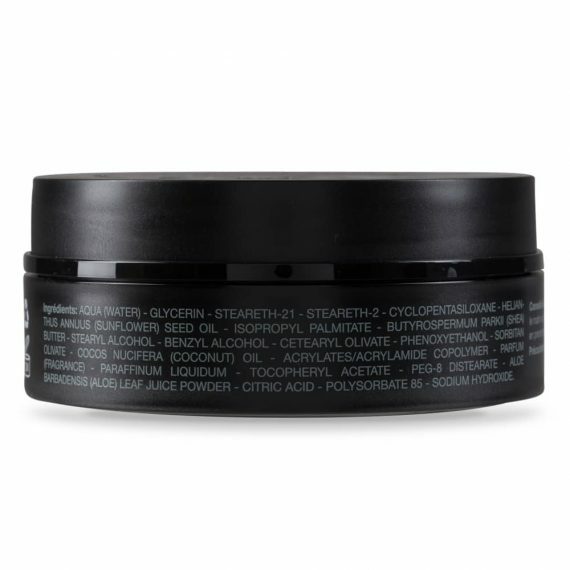 Each of those ingredients has been carefully selected with the highest standards of quality in the cosmetic industry. Manufactured in France pharmaceutical grade laboratory, Beardilizer Beard Balm is really second to none, and a one of a kind beard product. 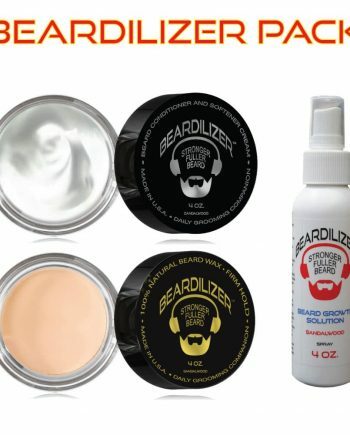 While delivering great results for your beard, Beardilizer Beard Balm also knows how to take care of your skin! This is why our hypoallergenic balm is the best 2-in-1 solution for your daily grooming routine. 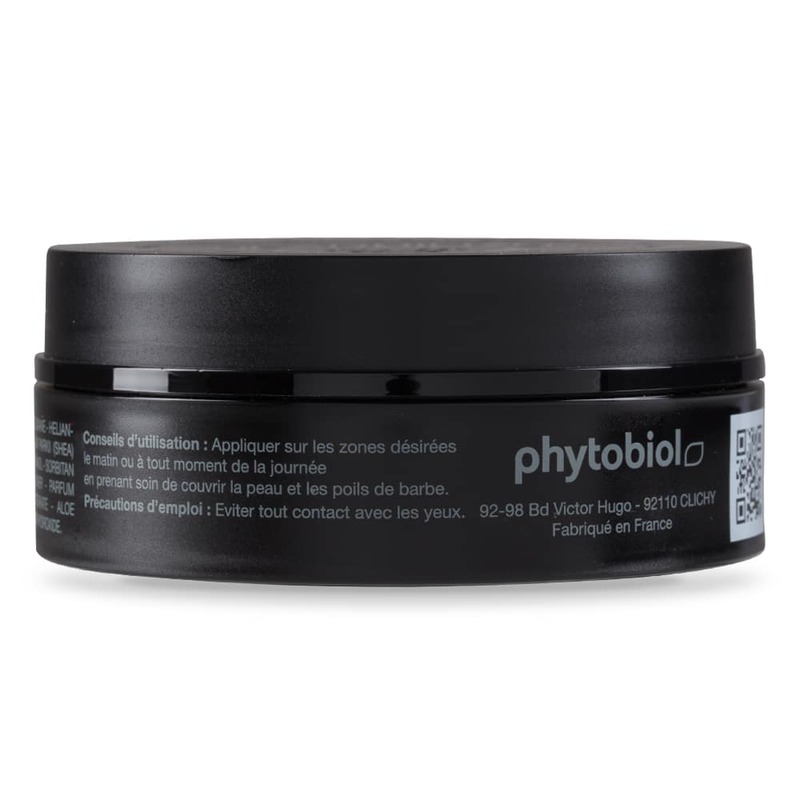 Say goodbye to irritations, itching, and external aggressions issues such as free radicals, pollution, dirt and sun damage. 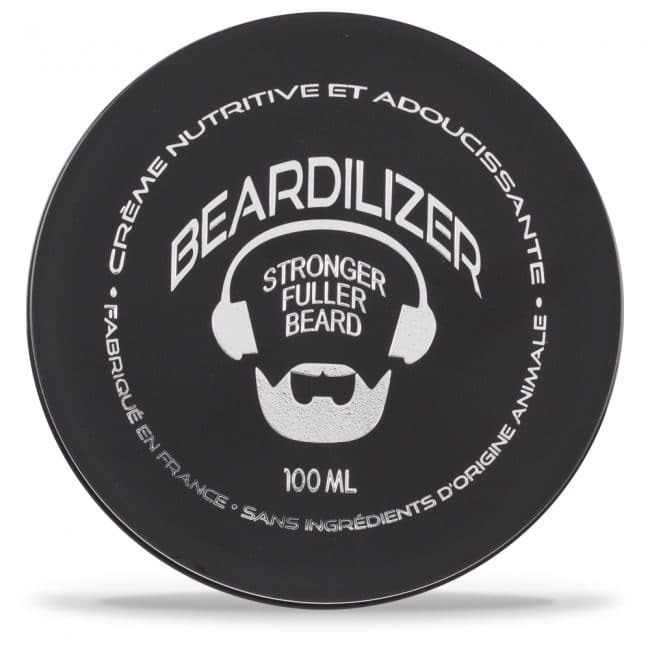 Our stylish 3.5 oz tin can offers the best value, yet manly scent will energize your day and dress you up with its elegant Musk smell. 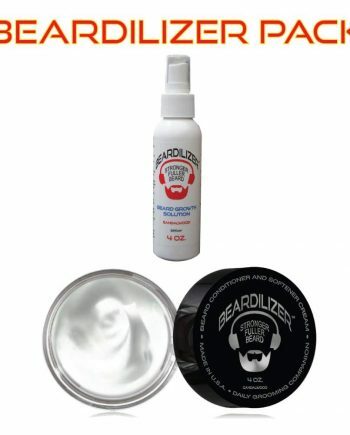 Your beard will be soft and clean: a real gentleman beard if you will! 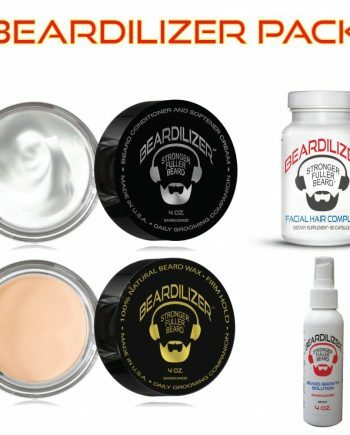 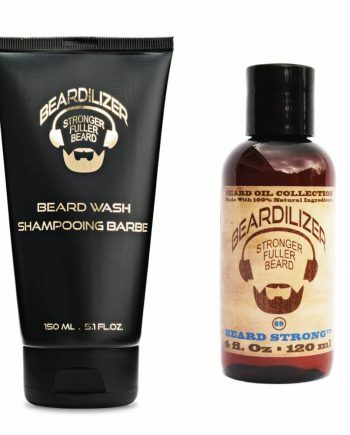 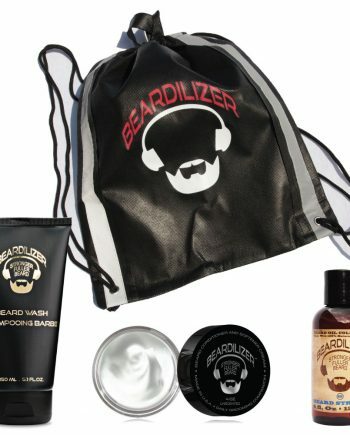 If you are looking for a solution to nourish your facial hair, style your beard and protect your skin, the Beardilizer Conditioner and Softener Beard Balm is the product you’ve been waiting for: don’t look any further and try it today! 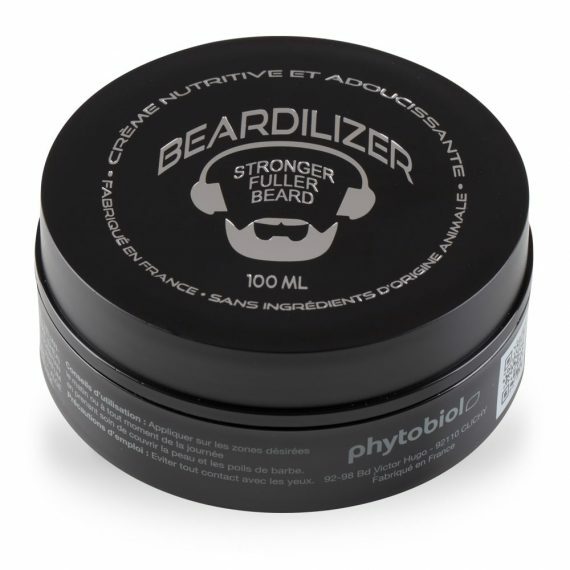 Every morning and as often as needed apply and rub on the face and into the body of the facial hair taking care to fully coat the skin and beard to end.